Категории: выбор телескопа, наблюдения, статьи. Actually, this is one of the first questions that arises in most novice astronomy enthusiasts. Someone thinks that you can see an American flag in a telescope, planets the size of a soccer ball, colored nebulae, as in photos from Hubble, etc. If you think so too, then I will immediately disappoint you – the flag is not visible, the planets size like pea, galaxies and nebulae are gray colorless spots. The fact is that a telescope is not just a tube for entertaining and receiving “happiness to the brain”. This is a rather complex optical device, with the correct and thoughtful use of which you will receive a lot of pleasant emotions and impressions from viewing space objects. So what can be seen through a telescope? One of the most important parameters of the telescope is the diameter of the lens (lens or mirror). As a rule, beginners buy inexpensive telescopes with a diameter of 70 to 130 mm – so to speak, to explore the sky. Of course, the larger the diameter of the telescope’s lens, the brighter the image will be with the same magnification. For example, if we compare telescopes with a diameter of 100 and 200 mm, then at the same magnification (100x) the brightness of the image will differ by 4 times. The difference is especially noticeable when observing faint objects – galaxies, nebulae, star clusters. Nevertheless, it is not uncommon for beginners to immediately acquire a large telescope (250-300 mm), then marvel at its weight and size. Remember: the best telescope is the one that is most often observed! So, what can be seen in a telescope? First, the moon. Our space satellite is of great interest for both beginners and advanced amateurs. Even a small telescope with a diameter of 60-70 mm will show lunar craters and the sea. With an increase of more than 100x, the moon will not be placed in the field of view of the eyepiece at all, ie only a piece will be visible. As the phases change, the view of the lunar landscapes will also change. If you look through a telescope at a young or old moon (narrow sickle), you can see the so-called ash light – the faint glow of the dark side of the moon caused by the reflection of earth light from the lunar surface. An approximate view of the moon through a telescope with a magnification of 40x and an eyepiece with a field of view of 40 degrees. An approximate view of the moon through a telescope with high magnification. Venus – the same evening star in the morning – is the brightest object in the sky (after the Sun and the moon). The brightness of Venus is so high that it can be seen in the afternoon with the naked eye (you just need to know where to look). Even in small telescopes, one can consider the phase of the planet – it changes from a tiny circle to a large sickle like the moon. By the way, sometimes people, looking for the first time at Venus through a telescope, think that this is what the moon shows. 🙂 Venus has a dense, opaque atmosphere, so seeing any details will not work – just a white sickle. The Earth. Oddly enough, the telescope can also be used for ground-based observations. Quite often, people buy a telescope both as a space peeper and a telescope. Not all types of telescopes are suitable for ground-based observations, namely lens and mirror-lens – they can provide a direct image, while in Newton’s mirror telescopes the image is inverted. Mars. Yes, yes, the same one that is seen every year on August 28th as two moons 🙂 And people go from year to year to this stupid joke, asking questions from familiar astronomers 🙂 Well, Mars, even in fairly large telescopes is seen only as a small circle, and even then only during the period of confrontation (once every 2 years). However, in the 80-90 mm telescopes it is quite possible to consider the darkening on the disk of the planet and the polar cap. View of Mars through an amateur telescope with a diameter of 150 mm. Jupiter – perhaps it was from this planet that the era of telescopic observations began. Looking at a simple home-made telescope at Jupiter, Galileo Galilei discovered 4 satellites (Io, Europa, Ganymede and Callisto). Later, this played a huge role in the development of the heliocentric system of the world. In small telescopes you can also see several bands on the disk of Jupiter – this is a cloud belt. The famous Great Red Spot is quite accessible for observation in telescopes with a diameter of 80-90 mm. Sometimes satellites pass in front of the disk of the planet, casting their shadows on it. 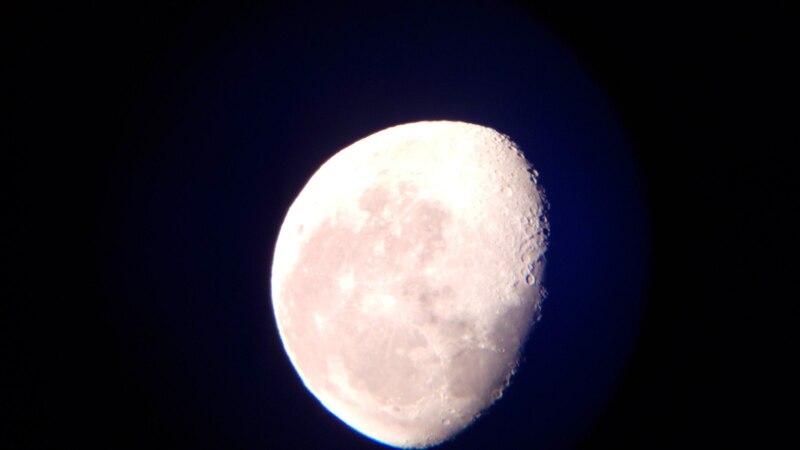 This can also be seen with a telescope. Jupiter with satellites – an approximate view through a small telescope. Saturn is one of the most beautiful planets, each time from the sight of which I was just breathtaking, although I have seen it more than one hundred times. The presence of the ring can be seen already in a small 50-60 mm telescope, but it is best to observe this planet in telescopes with a diameter of 150-200 mm, in which you can easily see the black gap between the rings (Cassini divide), cloud belts and several satellites. Uranus and Neptune – the planets circling far from the rest of the planets, small telescopes look only in the form of stars. Larger telescopes will show tiny bluish-green discs without any details. Star clusters are objects to be observed through a telescope of any diameter. Star clusters are divided into two types – globular and scattered. The globular cluster looks like a round misty spot, which when viewed in an average telescope (from 100-130 mm) begins to crumble into stars. The number of stars in globular clusters is very large and can reach several millions. Scattered clusters are clusters of stars, often irregularly shaped. One of the most famous open clusters visible to the naked eye is the Pleiades in the constellation Taurus. Double h and χ Perseus clusters. Approximate view in telescopes from 75..80mm. Galaxies. These star islands can be found not only through a telescope, but also through binoculars. It is to find, not to consider. In the telescope, they look like small, colorless specks. Starting with a diameter of 90-100 mm, the shape of a bright galaxy can be seen. The exception is the Andromeda Nebula, its form can be easily viewed even with binoculars. Of course, about any spiral arms and there can be no talk to a diameter of 200-250 mm, and then they are visible only in a few galaxies. Galaxies M81 and M82 in the constellation Ursa Major – an exemplary view through 20×60 binoculars and telescopes with a diameter of 80-90 mm. Nebulas. They are clouds of interstellar gas and (or) dust highlighted by other stars or remnants of stars. Like galaxies, in a small telescope they are visible as faint specks, but in larger telescopes (from 100-150 mm) you can see the shape and structure of most bright nebulae. One of the brightest nebulae – M42 in the constellation of Orion – can be seen even with the naked eye, and the telescope will show a complex gas structure, like a cloud of smoke. In some compact bright nebulae, you can see the color – for example, the NGC 6210 “Turtle” nebula, which is visible as a small bluish disk. Approximate view in telescopes with a diameter of 80mm. Planetary nebula M27 “Dumbbell” in the constellation Chanterelle. An approximate view in telescopes with a diameter of 150 … 200mm. Planetary nebula M57 “Ring” in the constellation Lyra. Approximate view in a telescope with a diameter of 130 … 150mm. …except for the sun. 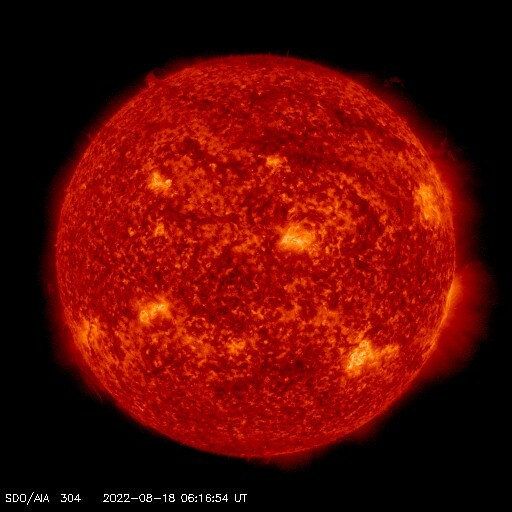 Immediately I warn you – it is very dangerous to watch the sun without special means of protection! Only with a special aperture filter that should be securely mounted on the front of the telescope. No dubbing films, smoked glass and floppy disks! Take care of your eyes! If all precautions are taken – even in a tiny 50-60 mm telescope you can see sunspots – dark formations on the sun’s disk. These are the places from which the magnetic lines exit. Our Sun rotates with a period of about 25 days, therefore, watching the sunspots every day, you can see the rotation of the Sun. Comets. From time to time, bright “tailed guests” are visible in the sky, sometimes accessible even to the naked eye. In the telescope or binoculars, they are also visible, as are galaxies with nebulae — small, colorless specks. In large bright comets, you can see the tail and greenish color. If after reading this article you still have the desire to purchase a telescope – then I congratulate you, because there is one more important step ahead of you – the right choice of telescope, but this is already in the next article. Вы пишите – в телескоп диаметром Х видно то-то так-то. Но у рефлекторов есть экранировка. Поэтому возникает вопрос: будет ли например 100 мм рефлектор равен 90 мм рефрактору, или надо смотреть на конкретные величины экранирования по площади? По цене кстати 90 мм подороже будет. Или так: покажет ли рефлектор при той же апертуре те же детали что и рефрактор? В городах с засветкой и частой дымкой (напр. Москва, Ростов) насколько могут быть продуктивными наблюдения дип скай? Конечно, я не ожидаю что будут видны особо тусклые объекты. Но хотя бы М81 М82, М13, Личика, Кольцо – будут ли они видны примерно как на ваших фото или же просто потеряются в засветке? То есть город – это только планеты или все таки что-то из дип скай тоже? Да, 100 мм рефлектор примерно как 90 мм рефрактор. 102 мм рефрактор по яркости приближается к 130 мм рефлектору. В городах с сильной засветкой дипскай-наблюдения практически бесполезны – разве что некоторые звездные скопления понаблюдать. Фото совсем похоже на визуальные наблюдения. Цвет практически у всех туманностей не виден, только у некоторых компактных планетарных туманностей. То, как можно заснять на 150 мм Ньютон, примерно видно в 300 мм Добсон на темном небе. Можно ли в любительский телескоп увидеть туманность Ориона в цвете, как в стеллариуме? Как в Stellarium – нет. Но я видел пурпурные оттенки в самой яркой части М42 через 203 мм телескоп, с 11 мм окуляром. Также видел зеленые оттенки в 300 мм Добсон. Кто-то видит, кто-то нет. Возможно, это уже какие-то эффекты зрения при предельной яркости. Пожалуйста. Я использовал 6 мм 66 гр на телескопе Celestron Astromaster 76 (диаметр 76 мм, фокус 700 мм). По параметрам он схож с 707AZ. А вот на светосильном ньютоне X-Cel LX 7 мм показал гораздо лучшее качество изображения по полю. За свою цену окуляр неплох. И еще,что вы думаете про такой зум-окуляр к данному телескопу? Фигня. Celestron 8-24 неплохой, но у него 8 мм минимальный фокус. Вот ссылки,извините в названии Celestron X-Cel Lx 7mm ошибся. Celestron X-Cel LX 7 мм лучше будет по выносу зрачка, по коррекции аберраций и по конструктиву. Если в будущем будете брать телескоп побольше – X-Cel LX точно без дела не останется. Celestron X-Cel LX 7 мм под другими марками (Meade, Deepsky) маркируется как 6.5 мм, так что отрыв будет еще меньше. Подскажите, на телескоп Sky-Watcher BK 707 AZ2. и чувствительная ли между ними разница в наблюдении в такой телескоп Луны и планет.И стоит ли покупать более дорогой Ultra Wide 6mm? Здравствуйте. А можно ссылки на окуляры? Здравствуйте. Планирую собрать зеркальный телескоп. Скажите пожалуйста, где можно приобрести главное и диагональное зеркала? Нашёл на Алиэкспрэсс, но не уверен что они будут соответствовать требуемому качеству (боюсь получить кота в мешке). Здравствуйте! Неплохой телескоп начального уровня. Основные объекты для наблюдений – Луна, звездные скопления, двойные звёзды. Планеты покажет, но небольшого размера. Также на темном небе в него можно найти практически весь каталог Мессье. Отражение главного зеркала концентрично, лапки видно все одинаково. А киндер даже с выкрученным фокусером позволяет видеть все лапки – не уходят. Тоже грешил на трубку, но данная картинка имеет место и с линзой барлоу, т.е. трубка прячется. И опять же непонятная размытость справа. Обратного эффекта не удаётся добиться (чтоб размытость перемещалась хотя бы). К примеру Марс слева имеет чёткие границы, а справа размыт, что ни делай. Ну, у Марса сейчас с одной стороны резкая граница, с другой размытая (т.к. фаза). Здравствуйте. Может не в теме пишу, извините. Проверяя юстировку по звезде, имею срезанную слева картинку, вытянутую вправо. Куда ни смещаю центральную точку. Результат один и тот же. Как быть? Здравствуйте 🙂 Какой телескоп хоть? Приветствую. Мой телескоп Sky-Watcher BK1309EQ2. А чем юстировали трубу? Чеширом? Юстировал киндером, самодельным чеширом, самодельным лазерным коллиматором. Самодельные чешир и лазерный коллиматор сделаны с высокой точностью на токарном станке. Но как показал опыт, удобнее всего пользоваться киндером, т.к. фокусер имеет люфт (реечный). Возможно, что диагональное зеркало установлено неправильно. Лапки на главном зеркале при выкручивании фокусера должны исчезать одновременно. Также часть пучка может перекрывать трубка фокусера. Здравствуйте. Где можно взять список туманностей и прочих объектов (например Мессье) – стабильно видимых в телескоп с фокусным расстоянием 700 мм в летний период времени? Спасибо. Стоит ли новичку покупать телескоп за 17 т.р? Из-за ориентации изображения выбрал скай вотчер! Дайте пожалуйста совет, какой телескоп получше и стоит ли вообще в первый раз брать сразу телескоп за такую цену? Доброй ночи. Конечно стоит 🙂 А откуда будете смотреть – со двора или балкона? Посоветуйте пожалуйста какие лучше докупить окуляры (марка,кратность),2Х линзу Барлоу (марка) и искатель по не слишком большой цене к телескопу Sky-Watcher BK 707 AZ2 для наблюдений за планетами и объектами дип-ская? Ясно,что параметры данного телескопа не позволяют сильно много и качественно рассмотреть,но все же. На али могут быть и подешевле у других продавцов. Очень удобен вот такой окулярчик http://ali.pub/c7j8b можно быстро менять увеличение без перестановки окуляров. Из искателей – несколько вариантов. Либо Red dot (с красной точкой), либо оптический 6х30. Извините ещё раз Star Hunter. Как вы считаете разумно использование Sky-Watcher Dob 8 для наблюдения за планетами? Здравствуйте. Лично я считаю, что для наблюдения планет удобнее будет телескоп на экваториальной монтировке – например, Sky-Watcher BKP150750EQ3-2 или BKP1501EQ3-2. Если Доб с моторами, то можно и его использовать. Здравствуйте Star Hunter. У меня имеется три вопроса, возможно они покажутся наивными, но всё же. 1) Хотелось узнать ваше мнение по телескопу Celestron NexStar 127 SLT. 2) Годится телескоп данной модели для наблюдения за планетами? Можно рассчитывать на какие то детали? 3) Я пришел к выводу, что летом 2018 года в широтах Московской области, наблюдение за Марсом и Сатурном будут невозможным, так ли это? 1)Хороший телескоп. Качественная оптика, моторизированная монтировка. Легкий, компактный, отлично помещается на балконе. 2)Да, планеты и Луна у него основная специализация. При хороших условиях 127 мм апертура покажет много деталей по планетам. Щель Кассини, БКП и полосы в атмосфере Юпитера, потемнения на Марсе, фазы Венеры – всё это вполне доступно, но опять же – при хороших условиях, которые включают спокойную атмосферу, достаточно большую высоту планеты над горизонтом и термостабилизацию телескопа. Здравствуйте. НЛО можно увидеть даже без телескопа – невооруженным глазом. Здравствуйте. Телескоп хороший, у меня раньше такой был. Достаточно универсальный телескоп для визуальных наблюдений, астрофото планет/Луны и начального астрофото туманностей (после покупки моторов). Из недостатков – весьма тяжелый и габаритный в сборе (длина трубы около метра), однако собирается\разбирается быстро и без проблем. Монтировка EQ5 несет эту трубу с небольшим запасом, однако тряска всё равно заметна от ветра и прикосновений. Зеркало параболическое. Как вариант – могу посоветоватье еще BKP150750EQ3-2. Он легче, меньше, компактнее. На сэкономленные деньги можно докупить моторы. У меня самого сейчас такая труба. Монтировка EQ3-2, конечно, немного слабее, чем EQ5, однако и труба лечге (6 кг против 9). Да, для балкона рефлекторы не очень удобны. Под планеты – 3…3.5 мм окуляр. Под большую часть дипская будет вполне достаточно окуляров 10-11 мм и 16-18 мм. Под меньшую – 24-32 мм и 7-9 мм. 11 мм – отличный ES 11 мм 82 градуса. Качество коррекции аберраций шикарное. 18 мм – можно взять ES 18 мм 82 гр, либо 16 мм 68 гр (но у 16 мм вынос зрачка небольшой). 24 мм – шикарен ES 24 мм 68 градусов, тоже пользуюсь таким, один из любимых окуляров. ES 30 мм 82 гр – килограммовая гиря, отличный, но редко используемый. Из фильтров – обычный OIII взять, можно недорогой. Здравствуйте! Хотим купить ребенку детский телескоп, там окуляры 20, 30 и 40. Скажите пожалуйста как далеко через них будет видно? Здравствуйте! Что за модель телескопа? Вероятнее всего этот телескоп игрушечный и даже для наблюдений начального уровня не подходит. День добрый! Подскажите, что подарить ребенку 10 лет Набор Levenhuk LabZZ MT2, Meade Polaris или Набор Bresser National Geographic: телескоп 50/360 AZ и микроскоп 300x-1200x? Да, они дороже, но у них и качество картинки лучше, и устойчивость треноги. Добрый день! У вас замечательный сайт! Подскажите,пожалуйста хорош ли для ребенка будет телескоп Bresser Junior Space Explorer 45/600 или Levenhuk LabZZ MT2: микроскоп и телескоп, или Набор Bresser National Geographic: телескоп 50/360 AZ и микроскоп 300x-1200x? Доброго времени суток.У меня вот пару вопрос появилось. И еще такой характера вопрос. Здравствуйте! Не понял вопроса про зеркальный и линзовый. Если Вы про призму, то да, можно родную зеркальную диагональ достать и установить оборачивающую призму, но ее надо докупать отдельно. Насчёт Мира не знаю, а вот МКС я снимал. Доброго всем.Подскажите пожалуйста.Очень хочу приобрести телескоп что бы наблюдать за звездным небом.Я новичек и хочу все и сразу смотреть ) по цене в пределах 15-20 тыс + фильты и 100mm и т.д и что бы можно было фотографировать еще.Дайте советы. Для астрофото планет и Луны подходят оба телескопа, однако я бы всё же рекомендую Sky-Watcher BK909EQ2 – он лучше дружит с зеркальной камерой. Из фильтров пригодится апертурный фильтр для наблюдения Солнца, а также фильтр против засветки UHC. В цене устраивает второй вариант,можно и чуть дороже,но разницы думаю не сильно буду ощущать по качеству.По этому номер 2 самый раз по веря вам.Как я понял телефон или фотоаппарат можно прикрепить к нему?и еще говорят что с зеркальным по сложнее обращаться путаясь сторонами )) ну и так же хочу узнать насадки то её фильты я могу отдельно еще купить? С зеркальным фотоаппаратом лучше дружит BK909EQ2 – сфокусироваться можно без проблем. Также у него лучше искатель (6х30). Картинка в зеркальный телескоп BK1149EQ2 перевернутая, в линзовый BK909EQ2 – прямая зеркальная (слева направо). Можно докупить оборачивающую призму, картинка будет полностью “прямой”, но для астро лучше пользоваться родным зеркалом. Телефон можно подключить к окуляру при помощи адаптера. Фотокамеру зеркальную – через Т-кольцо. Фотокамеру-мыльницу – через специальный адаптер. Для съемки Луны вполне подойдет даже телефон. Для съемки планет всё же лучше брать специализированную камеру. Еще подскажите, откуда будете смотреть – со двора или балкона? Фильтры – да, можно докупить. Спасибо за ваши ответы.Все обьяснили в легкой доступной форме. Так как я живу на севере в г.Норильске,то первым делом не портя впечатления обо всем то что хочу увидеть,то пойду за пределы города и буду смотреть с горы. p.s наш город окружен горами Платопутораны. Далеко забрались 🙂 Думаю, что для ваших условий всё же лучше BK909EQ2. Увы, с планетами на вашей широте будут проблемы, т.к. слишком низко над горизонтом они будут. Для планет надо ехать в этом году на юг. По Луне, Солнцу, ярким туманностям и скоплениям 90 мм телескоп будет хорошо работать. Да,скорее всего вы правы на счет широты нашей.Но я уверен что не мало впечатлений получу глядя и на луну или на близжайшие созвездия типа как большая и малая медведица и полярной звезды с наших широт.А в будущем уже поехав в отпуск на материк и от туда гляну уже больше всего. Мне вот что еще интересно по второму телескопу,фотоснимки имеются где либо на звездное небо,луну с этого аппарата,хоть по любоваться. Но для их получения нужен достаточный опыт. Здравствуйте. Наблюдал Юпитер в ШК 8 с увеличением 300х. Все равно жёлтый. Так и должно быть? Он при визуальных наблюдениях даже при таких увеличениях не становится коричневым? Здравствуйте. В ШК он желтовато-белый. Полосы на планете – блендо-коричневого цвета, Большое Красное Пятно – красновато-коричневое. Здравствуйте. Поставьте увеличение побольше – пределах 1.5*D…2*D, где D – диаметр объектива в мм. Для 100 мм телескопа по Юпитеру оптимальная кратность – 150-200х. Доброго времени суток. Затеил я затею воплотить таки свое детское желание познакомиться с космосом, так сказать по ближе, да и детей привлечь. Дык вот незадача. В астрономии только поверхностная теория, в телескопах – 0. Помогите советом, с чего начать поиск телескопа, как выбирать, что имеет приоритеты, какие потребности и цели ставить перед собой для более объективного выбора. Если кто поделится мыслями/историями/моделями/ характеристиками из практики, будет замечательно.Посмотреть конечно, хотелось бы, и на ближний и на дальний. Но объективно понимаю что все в одном флаконе не взять. Рекомендовали SW1149EQ2. Так ли он хорош для начинай. И может есть модели бюджетней, но не уступающие по характеристикам? На мой взгляд, подобрать недорогой телескоп можно по двум критериям – бюджет и место наблюдения. Остальные критерии (астрофото, моторы и прочее) не столь принципиальны, т.к. в данном бюджете особо разогнаться не получится. Из бюджетных моделей для новичков я посоветую Synta (Sky-Watcher) BK909AZ3, BK909EQ2, BK1149EQ2, а также Meade Polaris 90 и Polaris 114. Замечу, что под маркой Synta скрывается тот же Sky-Watcher, но заметно дешевле. Так, недавно купил Synta BK909AZ3, цена 14000р, а такой же SW в другом магазине – 18к или около того. Лично я бы на вашем месте взял рефрактор, а именно BK909EQ2. Он проще в обслуживании, не требует юстировки, у него лучше искатель, возможность без особых проблем прикрутить камеру, на балконе вполне реально поставить. На стороне BK1149 стоят более чистая картинка (без слабого фиолетового ореола, как в BK909), да и, собственно, всё. Наблюдения с балкона не планируются, 99% выезды за город. Апертура весьма близкая, т.к. в рефлекторе на 1 зеркало больше и часть света (около 15%) на тем теряется, поэтому по яркости что 90 мм ахромат, что 114 мм Ньютон будут близки. Если честно, я бы всё же подкопил до Sky-Watcher BKP150750EQ3-2 (новый или б\у). Здравствуйте, а существует какой-нибудь “учебник” с описанием где именно находится та или иная туманность-галактика и как правильно на неё навестись? Главное – понять принцип, а дальше сможете сами любой объект найти при помощи Stellarium или иного приложения. Доброй ночи! Не могу терпеть, разрешите похвастаться своим первым наблюдением в свой новый первый и, возможно, единственный телескоп. Купил МАК 102 в конце мая. Почти месяц ждал погоды, для наблюдения луны с балкона. Смотрел почти час. Была небольшая дымка, видимая без телескопа как ореол. Сделал фото телефоном. Вот что получилось https://pp.vk.me/c633822/v633822094/313fb/IFFioQ7SPZw.jpg Прежде чем купить телескоп прочитал много статей, просмотрел много фотографий в основном на вашем сайте. Ваши советы помогли мне сделать окончательный выбор. Большое Вам спасибо! Привет! Я поздравляю Вас 🙂 отличный телескоп! Разумеется, съемка через телефон не позволит полностью реализовать всю разрешающую способность телескопа, поэтому советую обзавестись хорошей камерой. Неплохой вариант – зеркальная камера Canon 550D или 600D – в быту тоже пригодится. Добрый вечер! Без диагонального зеркала ( МАК 102 ) поле больше? Или мне показалось? Ещё показалось, что картинка чётче? Привет! Немного больше поле, верно – диагональное зеркало работает как удлинительная втулка, а фокусное расстояние Мака может немного меняться. Насчёт четкости – зеркало обычное отъедает 15% света. Есть диэлектрические зеркала, которые кушают 1% света. Хорошее зеркало картинку не портит. А где можно купить такое зеркало? И как не перепутать с обычным? Здравствуйте! Скажите, какие условия нужны для наблюдения Цереры? Условия для наблюдения Цереры сейчас неблагоприятные – она видна утром. Лучше поискать ее через месяц-другой – она тогда будет заметно выше подниматься над горизонтом. По наблюдениям – вполне реально Цереру найти в бинокль типа 10х50 – ее звёздная величина колеблется от 7 до 8m. В телескоп она видна будет просто как звезда. Здравствуйте! наблюдение туманности м42 в добсон 8дюймов нужен ли светофильтр?естли да то-CLS подойдет ли? и м31 с фильтром или без? место для наблюдения с небольшой засветкой, и когда место без засветки? Привет! Для М31 фильтры не нужны – это звёздный объект. Узкополосные и широкополосные фильтры полезны при наблюдении газовых туманностей – планетарные, диффузные и т.д. Для М42 конкретно могу посоветовать Baader UHC-S – неплохо выделяет “крылья” туманности. Также полезный и недорогой фильтр – Deepsky OIII. CLS Levenhuk мне не очень понравился. Подскажите плиз, на каком уровне сейчас оптические фотоприемники для астронаблюдений через телескоп? Я имею в виду чувствительность и цену в основном. Можно ли поставить такую матрицу в фокусе объектива и по проводам смотреть картинку на экране компьютера с большими деталями и яркостью чем при наблюдении обычным глазом? Или это ещё мечта? И если есть, сколько это стоит? У моей камеры ZWO 224 MC чувствительность такая, что на 1с выдержках и при f\5 светосиле видны яркие туманности и галактики. Мелкие планетарки вообще можно на 0.5с снимать при f\10, а М13 вообще записывал на видео с 4 кадрами в секунду. Сенсоры прогрессируют, шум снижается. По планетам количество деталей однозначно выше получается, чем визуально через окуляр. Для планетных наблюдений с монитора сойдет и Canon, и ZWO. Здравствуйте! Спасибо за правильный обзор, дающий ответы на многие вопросы, которые наводили на сомнения в целесообразности приобретения телескопа. Теперь я точно знаю, что мечта детства будет исполнена. Привет! Пожалуйста! Будут вопросы – задавайте, буду рад помочь. Здравствуйте, спасибо за ответ. Может быть для труб 90, 102 мм будет достаточно монтировки AZ2? На AZ2 они не встанут – у нее “рогулька”. Надо AZ3. Здравствуйте. Никаких наблюдений с рук в телескоп. С рук – только в бинокли с кратностью до 10-15х, не более. Для наземки достаточно будет фотоштатива крепкого, но лучше взять б\у монтировку типа AZ3 – она и для астро сгодится, и для для наземки. Спасибо за ещё один материал, куда можно тыкать носом неофитов. Только к нему остро требуется продолжение(-я): “Где и как смотреть в телескоп, чтобы всё это увидеть”. Особенно касаемо предельных разрешений по планетам/Луне и наблюдению диффузных объектов. Фрустрации людей, решивших посмотреть в свежекупленный телескоп на Юпитер из окна многоэтажки, или ищущих туманности, расположившись в “желтой” зоне, по силе сравнимы с описанными Фрейдом. П.С. “Колечко” так видно и в 100-110. Уже нашёл. Да, основные моменты освещены хотя каждый можно расписать в отдельную статью. Правда, по своему опыту, прочитанное не производит такого впечатления, как личный опыт. Десятки статей и тем на форумах убеждают меньше, чем одно путешествие в серую зону с инструментом. Ну, или наоборот, взгляд на планету с увеличением 1,5Д зимой, поверх вечернего микрорайона и оживленной трассы. Для наблюдений туманности Ориона можете использовать как 25, так и 10 мм окуляр. Здравствуй, Юлия! При слабом освещении у глаза включается чувствительное ночное зрение, но оно черно-белое. При достаточной яркости включается “дневное” цветное зрение. Из выше сказанного следует, что Вы на свой глаз фотографировали или при просмотре фото у людей “включается чувствительное ночное зрение”? Что-то я не до конца понимаю. Привет. Фотографировал я через камеру, но масштаб и обработку я постарался сделать такими, как видно примерно в телескоп.Например, на снимке туманность Ориона цветная, а глазом она практически черно-белая. Можно ли собрать телескоп с подсветкой? На самом деле всё гораздо, гораздо скромнее и без тонких деталей. Возможно. Но это еще от наблюдательного опыта зависит – чем больше наблюдаете, тем больше можете увидеть! Могут ведь быть телескопы, диаметром 90 мм, но ничуть не хуже телескопа, диаметром 130 и более? Здравствуйте. Смотря что понимается под критериями “не хужести”. Яркость картинки и предельное увеличение всё равно определяется диаметром объектива – чем он больше, тем объект можно сильнее приблизить. Кроме того, если сравнивать рефрактор и рефлектор, то и у одного, и у другого типа телескопа есть свои плюсы и минусы.